A year after Alborosie’s latest album Freedom & Fyah comes its dub counterpart Freedom in Dub, a set where this multi-talented musician and singer dubs ten of the original album’s 13 cuts with excellent result. Alborosie is far from a novice when it comes with dub wizardry. His first dub album Dub Clash was put out in 2010 and was then followed by Dub the System in 2013 and the King Jammy combination set Dub of Thrones. On Freedom in Dub he once again proves that he’s a potent dub force taking the listener to the roots of reggae – the drums and the bass. And it’s all about the music on this effort. Almost all vocals have been removed and Alborosie showcases the sheer strength and power of his riddims. 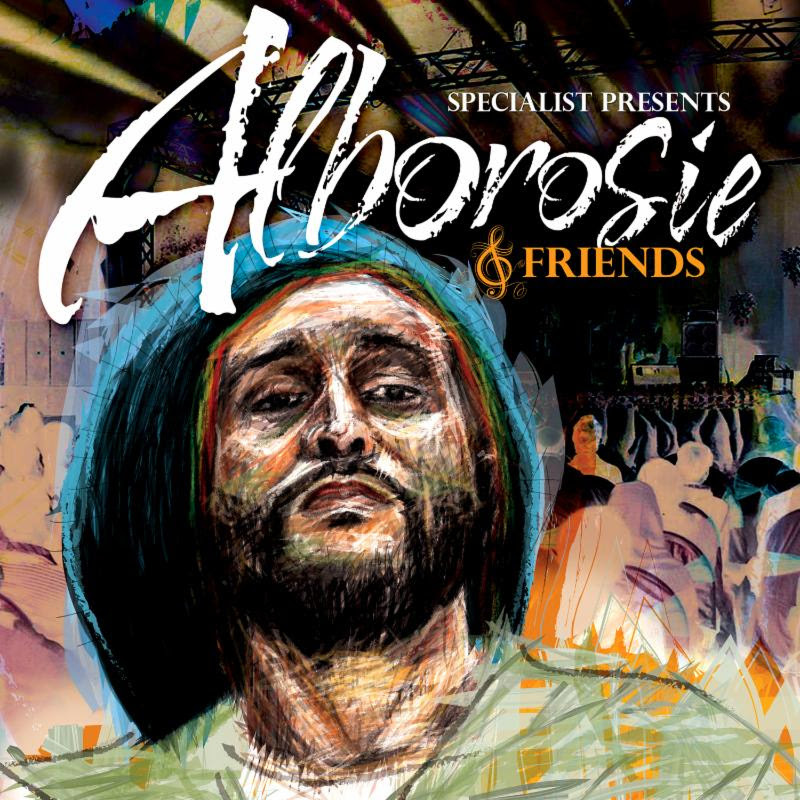 Italian born singer, producer, engineer and multi-instrumentalist Alborosie follows up on his acclaimed Sound the System, a set released in 2013. Sound the System received rave reviews and the new album – Freedom & Fyah – is equally strong. Even better actually. It’s darker and more uncompromising. Alborosie continues to do most of the things by himself. He has produced and mixed most of the album and plays several instruments. It’s also recorded in his own studio. Often by himself. He also continues to introduce up and coming artists and let them present their talent to the world. I’d definitely want to hear more from Sandy Smith, Pupa Avril and Sugus. The latter sounds a bit like Horace Andy and has actually been in the business for quite some time and is credited as background singer for Gregory Isaacs and Dennis Brown. Established performers like Protoje and Ky-Mani Marley also lend their voices to one track each. Roots reggae is the name of the game on Freedom & Fyah, even though Alborosie flirts with dubstep on Fly 420 and throws in a slice of tough dancehall on Judgement. The arrangements are often complex with a number of different sounds expanding the audio landscape and Alborosie delivers social commentaries over non-generic riddims with striking and powerful drum and bass. Check an effective and infectious track like Rich or a contemporary rub-a-dub cut like Everything. When Alborosie put out his debut album Soul Pirate in 2008 he presented a fresh take on roots reggae. He came in from another angle and created his own sound, and has developed it into perfection. Italian singer Raphael returns with a new album following his 2013 solo debut Mind Vs Heart. He has been active on the reggae scene for about 15 years and has with his former band Eazy Skankers dropped two sets. Reggae Survival is a strong follow up and much more cohesive than its predecessor which was somewhat more eclectic. This is straight up contemporary and uplifting roots reggae with live instrumentation – including a brass section supervised by legendary Jamaican sax maestro Dean Fraser – and infectious melodies. The album and its 14 tracks, including four skits and one dub version, was recorded between Jamaica, the U.S. and Italy and produced by Don Sugar and Raphael supported by Italy’s own Bizzarri Records and France’s Irie Ites. Raphael turns his eyes on social rights, human values and universal love. On Who Dem a Pree he and Lion D criticizes an emerging Big Brother society and on Joka Soundbwoy Raphael teams up with Triston Palma for a rendition of the latter’s Joker Smoker. Best of the bunch is however Sweet Motherland, with its strong appeal to Raphael’s African origin, along with Rise Up and A Place For Me. Italy’s reggae scene has obviously lots of talent. Alborosie is the most well-known example, but others, like Raphael and Lion D, are gearing up to face a global audience too. Tonight the first episode of the the fifth season the popular HBO drama Game of Thrones will be aired in the U.S. And two days ago Alborosie and King Jammy’s new dub album Dub of Thrones was put out on CD and vinyl. On this 13 track set – eleven on the LP – dreadlocked reggae rebel Alborosie clashes legendary game-changing producer King Jammy for an analogue dubwise extravaganza around the theme of Game of Thrones. The duo takes turn on the mixing desk – Alborosie at his Shengen studio and King Jammy at his studio in the Waterhouse district in Kingston, Jamaica. Dub of Thrones is a classic clash album, where the fully armoured combatants clashes head to head on six tracks each. The set collects head-nodding and speaker-shaking dubs of several familiar riddims, including Tongue Shall Tell and Hypocrites. It’s a mostly instrumental set and the only vocals to be heard is on the more contemporary-sounding Dub Cinderella – a version of Errol Dunkley’s Black Cinderella – on which Errol Dunkley himself along with Alborosie take turns on the microphone. This monumental dubsummit comes complete withGame of Thrones-inspired iconic cartoon artwork courtesy of original Greensleeves Records‘ artist Tony McDermott, who has for close to four decades been depicting Jamaican music for Greensleeves Records. 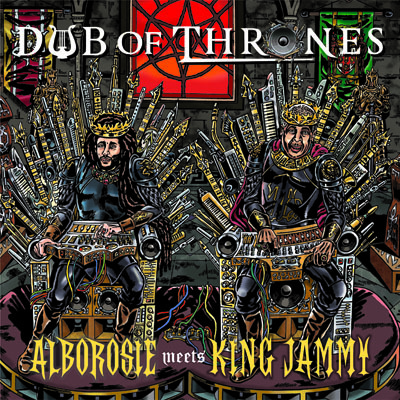 Dub of Thrones is a historic pairing of two pivotal dub masters – one with more than 40 years of experience and one that has quickly made a name for himself as one of the key proponents of classic Jamaican roots reggae. Italian/Nigerian artist Lion D – one finest talents on the contemporary European reggae scene – has recently released his new album Heartical Soul, which follows the super solid Bring Back the Vibes, released two years ago. About a year ago Lion D flew from Europe to Jamaica to hook up with fellow Italian musician Alborosie, who resides in Jamaica. He spent a month in Alborosie’s Shengen Studio in Kingston and the first cut from the collaboration was the uplifting title track, a song later followed by two other singles – the bouncy early 80s flavoured Ruff inna Town and the rootsy ganja anthem Blaze Up. 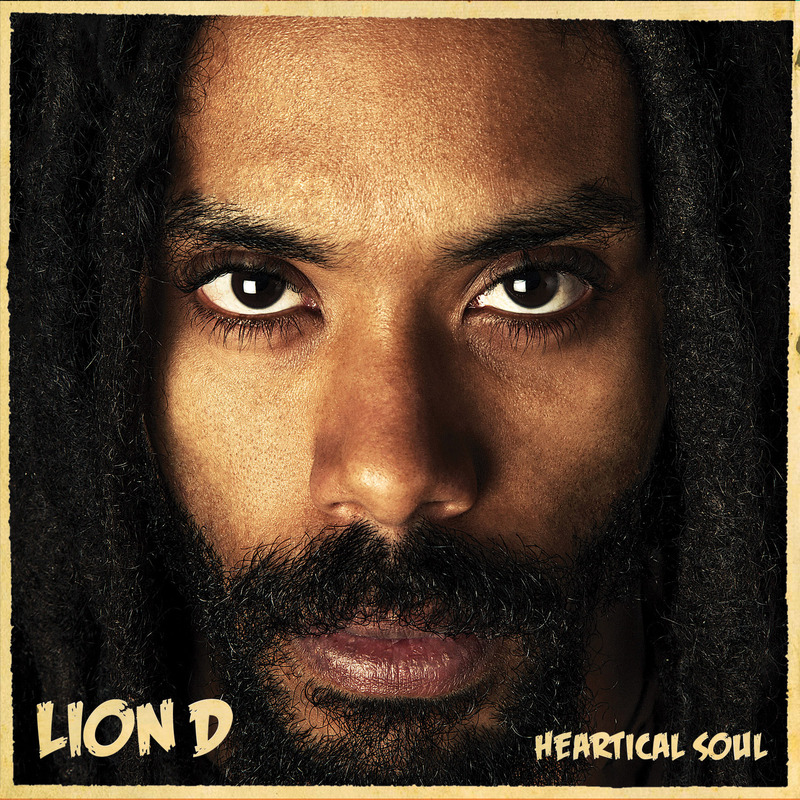 Heartical Soul is Lion D’s fourth album and his most rootsy set so far. His previous efforts have been hip-hop infused contemporary European one drop, while Heartical Soul is more Jamaican sounding. Lion D is at the top of his game deejaying rather than singing as showcased on Ruff inna Town and Be Strong, on which he borrows from Anthony Red Rose and King Tubby’s smashing Tempo riddim. This album comes with two standout Italian artists – Alborosie being one of the leading reggae artists today and Lion D who has now come on strong on two consecutive sets. With their passion for music and reggae they have created a Jamaican reggae album with sounds of roots, dancehall, ska and dub. 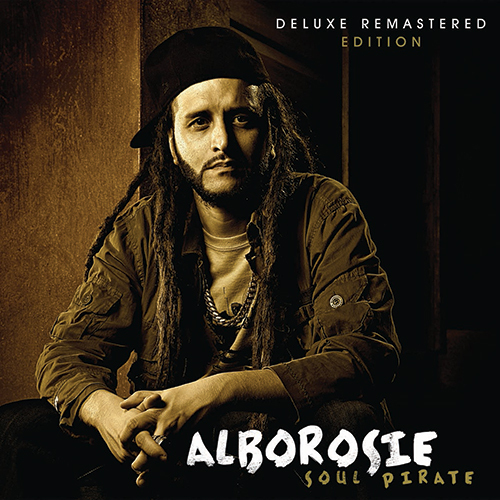 Italian, nowadays Jamaican, reggae star, multi-instrumentalist, producer, mixing engineer and songwriter Alborosie has recently had his debut album Soul Pirate reissued. The original set contained 18 tracks and the new and re-mastered version contains four bonus cuts, all of which has been previously released as singles or as part of a compilation. Soul Pirate was originally released in 2008 with poor distribution and it was partly sold via concerts. And today it fetches high prices – on Discogs it starts at $25.00 for the CD version. It’s an excellent album and might just still be his best yet. It collects several stunning and well-known singles, including the ground-shaking Rastafari Anthem, recorded over Zap Pow’s Last War, the powerful Kingston Town, on a version of the mighty When I Fall in Love riddim, and the pulsating Herbalist, on a remake of Black Uhuru’s Guess Who’s Coming to Dinner. Alborosie started to rock the scene at a time when dancehall ruled and roots reggae was something odd in Jamaica. Alborosie was one of tipping points that ignited the recent interest in Jamaican roots reggae and Soul Pirate can today be regarded as a modern classic. 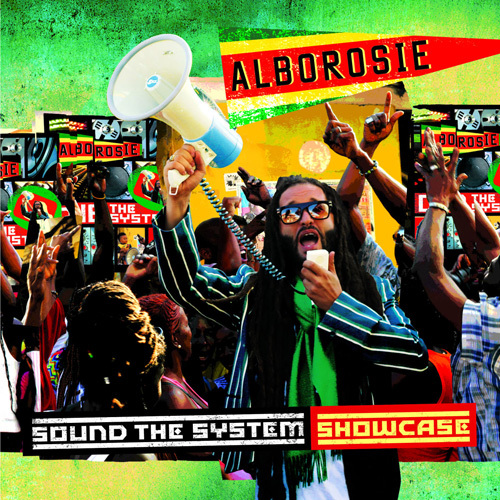 Alborosie’s label VP Records certainly tries to make the most out of his acclaimed latest album Sound the System, released in June last year. After the original album release a dub version was put out in December 2013. And now a new version is available in two separate editions. Sound the System Showcase comes with ten tracks in full showcase style, i.e. followed by their dub counterparts. It’s available on CD, digital download and a limited edition 5×10” vinyl box set. The latter looks like a bona fide eye-catcher with its master tape style box with lift-off lid. Sound the System Showcase effortlessly pairs Sound the System with Dub the System. It’s great set honouring the lovely showcase style. If you already own the vocal and the dub set, then this album maybe seems like a collectors item and only for die-hard Alborosie fans. But that’s not necessarily the case. Here you get the best out of two worlds. Definitely well-worth seeking out. Legendary producer and mixing engineer King Jammy and Alborosie, the acclaimed Italian/Jamaican singer/producer/multi-instrumentalist/engineer, have joined forces for a new dub album called Reality of Dub. The set hits the streets in early 2015 and is recorded and mixing using analogue equipment and vintage techniques. Check how they work together below. History in the making. It’s not often contemporary reggae albums gets reissued, but reggae powerhouse VP/Greensleeves have recently re-released Alborosie & Specialist’s duets album, a 24 track set originally issued in 2010 in a limited edition. The album is produced by Alborosie and his collaborator Clifton “Specialist” Dillion, the renowned producer and manager behind 90s dancehall stars like Patra, Shabba Ranks and Mad Cobra. Alborosie rose to prominence in 2007 with his Kingston Town, later followed by a string of hits, including Herbalist and Rastafari Anthem. He’s probably the most successful European reggae artist ever, and for a number of years he has been a Jamaican citizen living in Kingston, Jamaica. This singer, songwriter, mixing engineer, producer and multi-instrumentalist is well-respected within the reggae community, as shown on this duets album. Plenty of reggae stars take turns on the microphone with Alborosie – Mykal Rose, Sizzla, David Hinds from Steel Pulse, Luciano, Ranking Joe, Jah Cure, Etana, Lady Ann and Busy Signal can be heard on this excellent album. The material on this double disc was recorded between 2008 and 2010, and several of the cuts have been hard to find. But luckily this sizzling and highlight-packed album has now been made available again with more aggressive distribution.